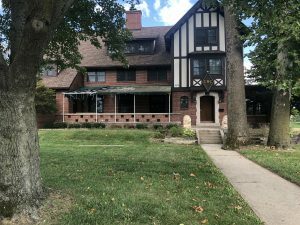 Sigma Alpha Epsilon (SAE) Nationals has begun the process of making improvements to the former fraternity house on DePauw University’s campus, suggesting they will be soon returning to campus. 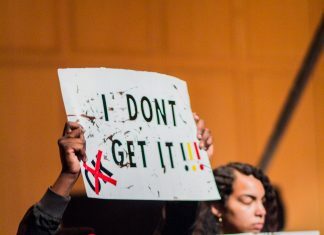 “The Fraternity Service Center of Sigma Alpha Epsilon is in discussions with DePauw University regarding the undergraduate group’s return to campus,” Sao said. Despite there not being an active chapter of the fraternity on DePauw’s campus, SAE Nationals currently has ownership over the house. Warren Whitesell, associate vice president of Facilities Management, shared information regarding the recent improvements being made to the house. Whitsell believes that SAE Nationals began making improvements to the house around August after DePauw’s lease expired in the middle of the summer. “I think they’re trying to find a way to either make improvements on the house, maybe re-sublease it out so that it’s generating some revenue just to offset the cost of maintaining it and keeping it. If they’d like to come back, it seems like they would go there (back to the house),” said Whitesell. According to Whitesell, prior to DePauw’s lease over the house expiring, the DePauw campus farm manager was living in the house, but currently the house is vacant. He thinks that the vacant house has the ability to be used to house students in the event of an unplanned need for extra housing space, during this time when the fraternity is not using it. Sao said that at this time no definitive decisions have been made about SAE returning at DePauw.